00:22 | Lima, Sep. 7. 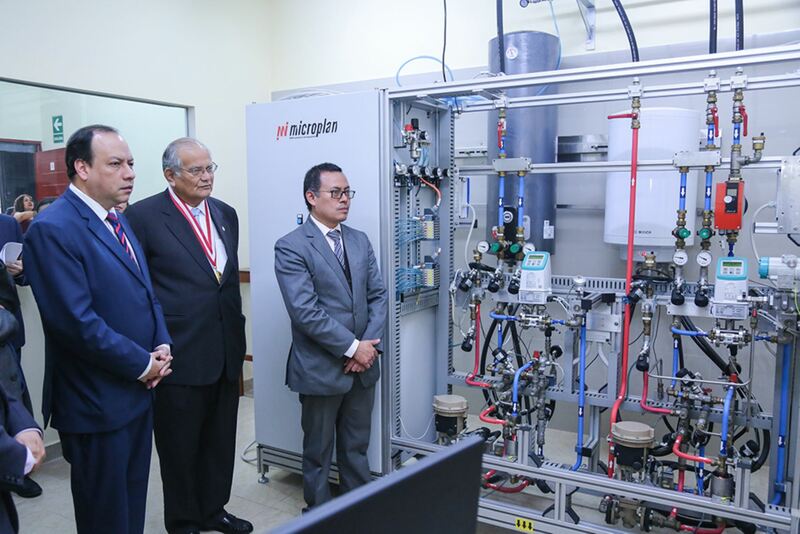 Peru's Ministry of Energy and Mines (MEM) on Thursday opened the first energy efficiency laboratory for electric water heaters in the country, as part of a move to promote an energy efficiency labeling program to mitigate the impact of greenhouse gases. The said program intends to contribute to international commitments made under the United Nations Framework Convention on Climate Change. The modern lab is situated at National University of Engineering (UNI) in Lima's Rimac district. "We are taking the first steps to ensure the necessary conditions for implementing Energy Efficiency Labeling Regulations in our country," Deputy Minister of Energy Raul Carpio Garcia affirmed. This way private companies and public institutions will be able to rate and verify the energy efficiency of electric water heaters both imported or manufactured in Peru. Likewise, the laboratory will facilitate all tests required by the National Institute for the Defense of Competition and Intellectual Property (Indecopi) during the second year of the labeling implementation. On April 7, 2017, MEM passed the Technical Regulations for Energy Efficiency Labeling, which stipulates that nine types of energy (domestic and industrial) equipment are required to display energy efficiency labels as of April 7, 2018.